Katzberry offers solutions for your bar accessories including stylish cabinets and carts for better presentation. 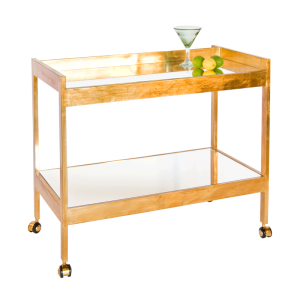 Bar cart features Contemporary lines, smooth sides for a clean simple look in your choice of Gold Leaf or Plated Nickel. 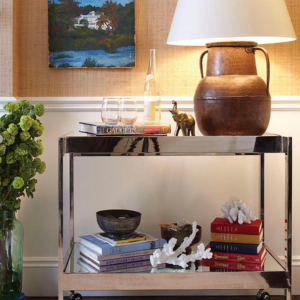 Has 2 mirrored shelves and coordinating casters for easy transport. 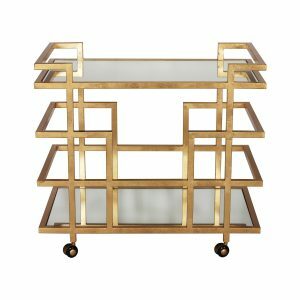 This solid and tubular steel cart has a chain link design and Radiant Nickel finish with inset mirrored glass top and shelf. Comes with easy slide swivel casters. 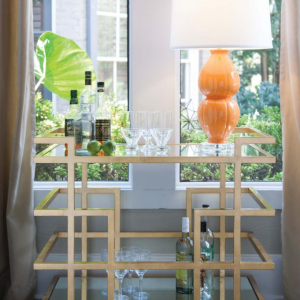 This fun Bar Stand and Stools are perfect for entertaining your guests. 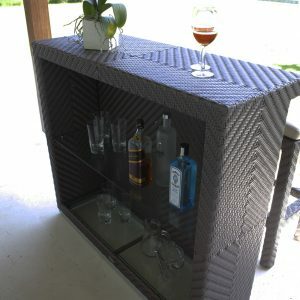 Bar Stand has back-side shelving for easy access to beverage containers and keeps items hidden. 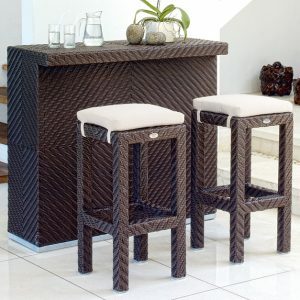 Set comes with Bar Stand and two Bar Stools with seat cushions. It is constructed of lightweight aluminum frames with the award-winning synthetic fiber by Viro over top. It is highly durable, weather resistant and easy maintenance. 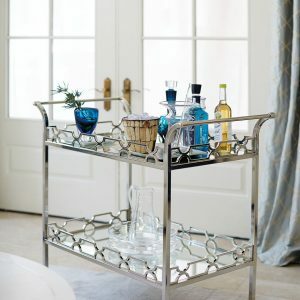 Bar cart features linear line design in your choice of Gold or Silver leaf. 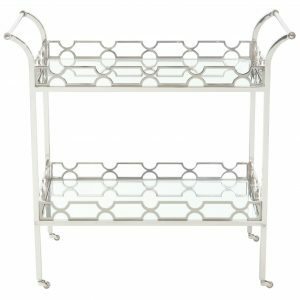 Has 2 mirrored shelves and coordinating rollers for easy transport. 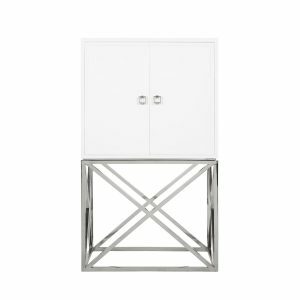 This cabinet features a high gloss White Lacquer finish and Stainless Steel base. Cabinet has contemporary matching square door pulls and opens up to one smooth glide drawer, 3 divided sections with one adjustable glass shelf in each section. Also has 3 interior lights to enhance cabinet contents, one in top of each interior section. 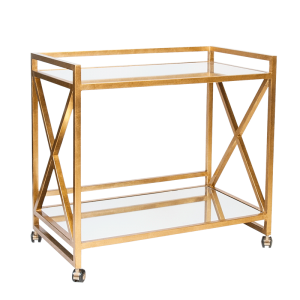 Bar cart features X side design in your choice of Gold Leaf or Stainless Steel. Has 2 mirrored shelves and coordinating casters for easy transport. Stainless Steel cart is Sold Out.